Parallel Realities. 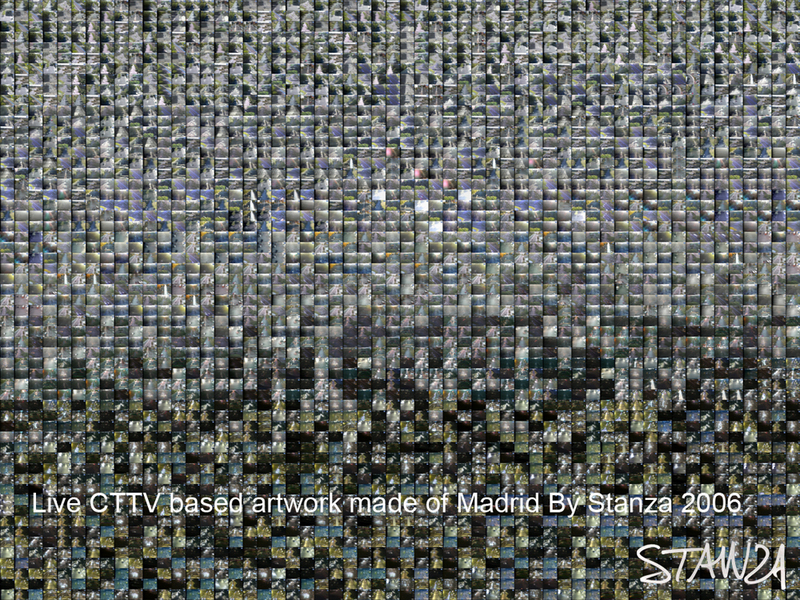 Made using custom made software by UK artist Stanza that take images from live feeds often live news feeds and live feeds. These artworks are made from small unit blocks, simplified then re built, re-cored re-formed into an understanding that can re-communicate the complexity of the larger system. 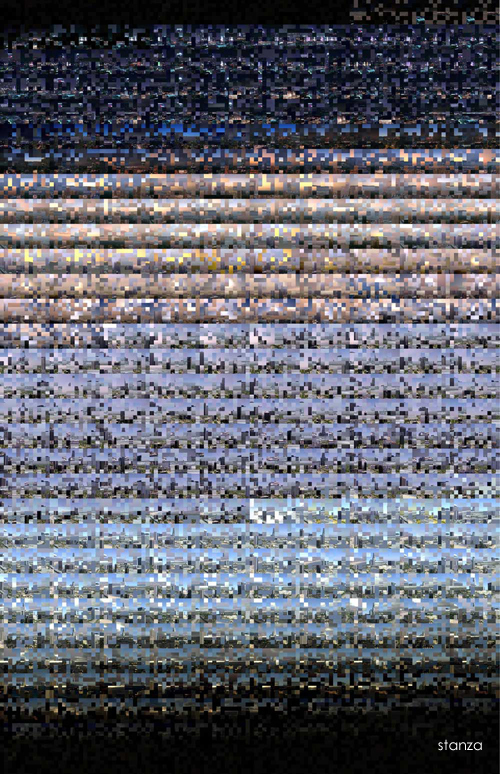 From a series media visualisations 2004 – 2006 made using custom made software that take images from live feeds often live news feeds and live CCTV feeds.